Talk about your ideal “cabaret tourism” experience ! 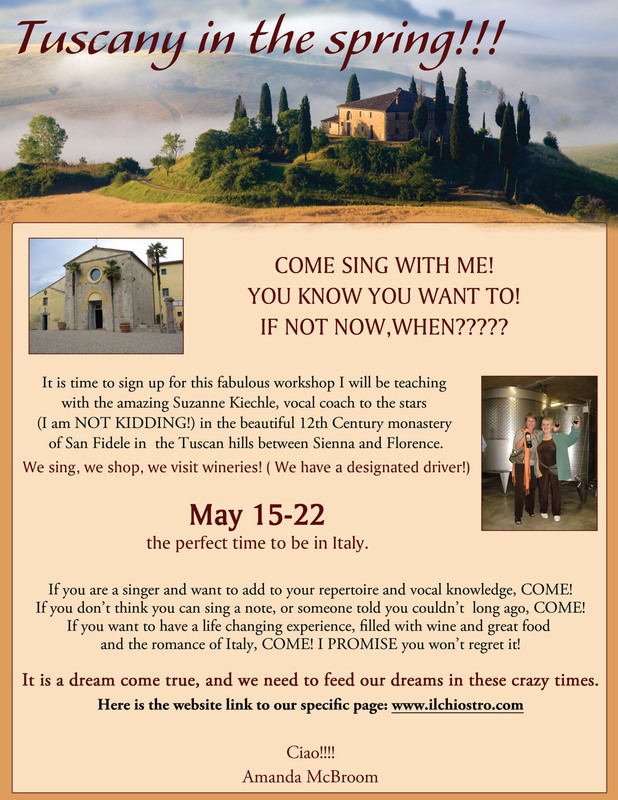 Space is still left for the workshop with Amanda McBroom and Suzanne Kiechle at Il Chiostro in Tuscany. Check out the link! It looks like an amazing week in an amazing venue with an amazing team ! Oh, and Washington’s own Mary Sugar will be the music director!